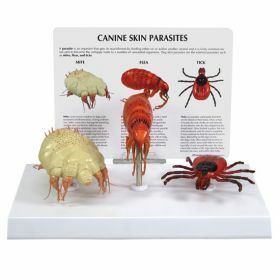 Enlarged models of common external Canine Skin Parasites. It is fairly common for a dog to become infected with an external parasite at some point in its lifetime. 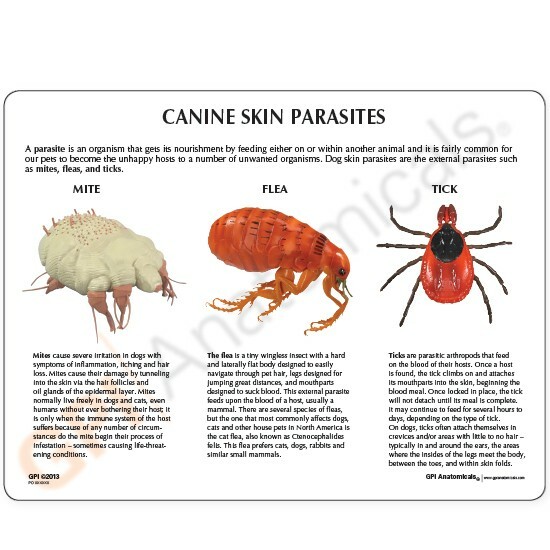 Parasites can affect your dog in a variety of ways, ranging from simple skin irritation to causing life-threatening conditions if left untreated. Some parasites can even infect and transmit diseases to humans. 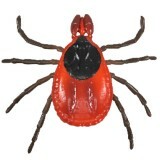 This model set shows the three most common parasites- mite, flea and tick. 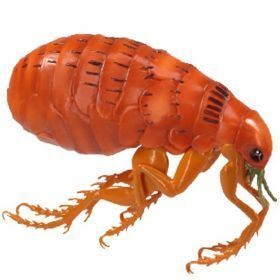 Model size: Mite: 4” x 2 ¼” x 2 ½”, Flea: 4” x 1 ½” x 3”, Tick: 4” x 4 ¼” x 1 ¼”.